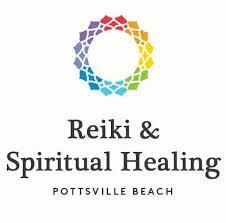 Personal reiki sessions are performed with certified professionals that will help you gain the most benefit. The sessions are designed to help individuals achieve comfort and healing after experience pain or physical trauma. Sessions are performed in quiet settings to encourage relaxation and calmness. On average, sessions last from a half-hour to 90 minutes. During the sessions, the practitioner uses their hands to give invasive touching to areas of the body such as the head, torso, and shoulders with little pressure. Our expert will provide details you need to know and how these sessions can help your current situation. Serene Meditation music is music for health and well-being. It's used to help the body relax. It is also known for encouraging healing energy to be produced by the body to promote calmness. Many feel it is effective when you want to stop excessive worry, anxiety, or letting go of emotions and struggles related to conflict. Relaxing images may accommodate the music to settle the mind and encourage positive thoughts and energy. Hypnotherapy may feature meditation music along with yoga and meditation sessions. The music can feature sounds of nature to put your mind at peace with simple breathing techniques. Our higher realms communication service includes working with a certified holistic practitioner specializing in spiritual development. The goal is to help you get in line with your purpose in life. Through higher self-communication, you will learn how to assess your life and how to take action during the positive and negative change. Gain a deeper understanding of your abilities through spiritual growth. Our experts help you realize your goals and assist with personal transformations essential to living a fulfilled life by awakening the spirit. Exercises may range from meditation to hypnosis to help you develop self-awareness, achieve wellness, and emotional, mental balance.